In today’s economic climate, you’d be hard pressed to find someone who isn’t tangled up in some form of debt. Be it student loans, a housing mortgage, or credit card debt, the majority of us are constantly trying to stay one step ahead of our financial liabilities. Well thankfully, through the beauty of sharing economy and peer-to-peer networks, you could contribute and grow closer to the people in your community, while getting, and more importantly staying, out of debt. Most of us have a spare room or two that doesn’t see much usage, aside from it being a storage space for our least-used knick-knacks. If the spring cleaning fever hits you and you (finally) clear it out, you can consider renting the space out through airbnb. On average a private room in a major city is rented out on airbnb for US $300/week. It’s not too shabby earning a bit of rent while providing a traveler lodging, saving them from hefty hotel costs. I wager you’ll probably even make a friend or two. The reverse can be applied to cut down on your personal expenditure too. A good majority of us can probably recall that once or twice we went on a holiday that was just above our budget, ending up pretty broke for the rest of the month. And for the most part, if you’ve stayed at one hotel, you’ve stayed at them all, as the difference in services and amenities provided is pretty minimal. To that effect, you could get a much more intimate, homely experience through airbnb or even couchsurfing, and the latter is completely free. In my personal experience, couchsurfing helps you make the most of your time in a foreign state or country, as your host would usually give dependable advice on the best places to visit and the most efficient way to get there. Labour platforms, such as Uber, TaskRabbit, and Zaarly, provide a source of income with low to zero commitment, giving you the opportunity to serve someone in your community while putting a dent in your own overheads. These platforms allow you to pick up odd jobs at your leisure, in exchange for money or even services. Own a car and have some spare time every morning? Someone in your neighbourhood may need a ride to work for a month or two. Love dogs and you’re working from home for the time being? You could consider dog-sitting for someone going on a holiday soon. Even more opportunities open up if you have particular skill sets. Peer-to-peer marketplaces like Zaarly allow you to market your skills and services through your very own online store. From repairing smartphones to baking birthday cakes, anyone who has a little time on their hands can definitely offer to share their skills with the community. And aside from offering, receiving is another great way to cut down on expenses and debt. By utilising peer-to-peer services and marketplaces, you’re supporting and nurturing a self-reliant community, which will greatly reduce your own spending, and wastage of precious resources. Did you know that the average car is unused 92% of the time? Imagine if we worked out an efficient system to share that car amongst a dozen families, the auto-industry wouldn’t be filling up acres and acres of scrapyards then. Thanks to platforms like RelayRides and GetAround, the possibility of that is inching a little closer. You can consider renting out your car through these platforms during periods of disuse, instead of leaving it parked in a driveway, waiting for a layer of dust to settle on it. Many such services offer insurance as well, so you’re well protected. The reverse applies as well, instead of purchasing a brand new car just to go to work every morning, you could use these platforms to find a car for rent at a suitable daily timing. 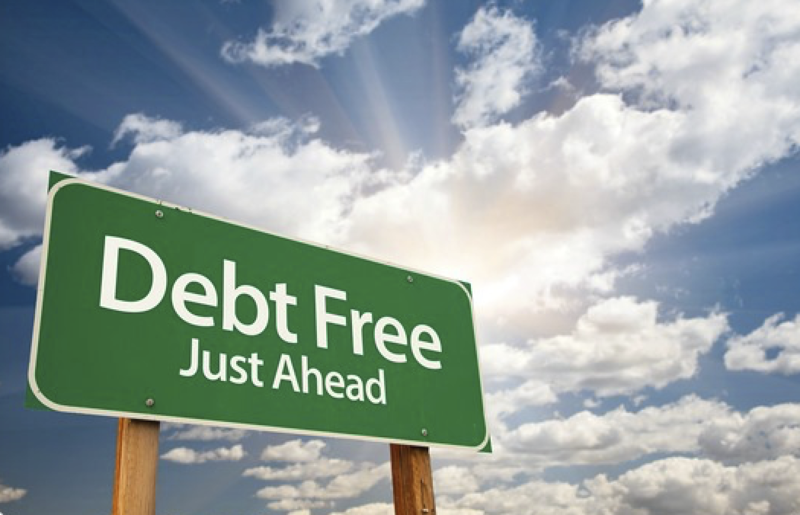 That’ll greatly cut down on your auto-insurance, car mortgage, and car maintenance costs, an effective and efficient way of avoiding unnecessary debt. How many lawnmowers do you and your neighbours actually need? Just one, with the power of sharing that is. Chances are if you need something, your neighbour already has it, or vice versa. It’s a little silly for every household to own a ladder or power drill, appliances that most of us use rarely. It’d make a lot more sense to ask your friends or neighbour and borrow such stuff, instead of buying one just in case we’ll ever need it again (in the next decade). Hence it’d certainly be a worthy endeavour to spend some time to get to know your neighbors, and build a communal sharing mindset within your community. You can set an example by being the first one to offer your own appliances for borrowing if the topic ever comes up, it’d be a wonderful step in the right direction. Being in a communal sharing neighborhoods is simply a smart financial move that keeps expenditure lower for everyone in the community, and of course who doesn’t love that warm fuzzy feeling of helping out a neighbour or friend? Despite the growing availability of junk food, we’re certainly much better informed in terms of what’s healthy and what’s not. And while GMOs and organic produce are still matters of dispute, fresher produce being better is a global consensus. Finding fresh produce that hasn’t been on the shelf for days is a real challenge these days, unless you live next to a local farm or own one yourself. The next best thing would be to join a CSA (Community Supported Agriculture), a sort of community garden that shares its produce monthly with its members. Members pay for their produce with labour instead of cash, thus reducing expenses on food and avoiding potential debt burden. You can volunteer to harvest the crops, water them, and/or other odd jobs to help out on the gardens. So anyone with a little spare time can feed themselves, as well as their community through the volunteer initiative. When the time comes to reap what you sow, you get to do it as a community, and quite literally share the fruits of your labour.